Let me introduce you to this lovely app called BabyChakra which has connected millions of parents together. You can find best of experts, mothers, childcare services and all types of baby and mommy products here. The best thing about the app is that Real Moms shares their real life experiences, expertise and suggestions, in order to solve the queries of thousands of Moms and Moms to be. You can expect an answer to your query within minutes of posting a question and can find an article about anything and everything that is related to pregnancy or mommying. The app is current available at play store for android phones and soon will be launching for iOS users by October. The app is extremely user friendly and free to download. Everything is divided in proper categories and sub-categories making it easy and quick for Moms without wasting their time. Also you get instant notifications about all the trending updates like questions answer sessions, expertise day or latest offers going on the app. They provide you with top services like child care, baby products, event managers, food, toys and the list is endless. Just imagine all of this on a single app which can be trusted blindly. You can share a story with fellow moms, ask them any type of question, post an informative article or plain and simple can just chit chat with them and you will always end up finding lots of lovely mommies to accompany you or either help you. 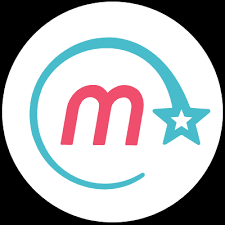 Also the app encourages moms by selecting as Mom Star when they love the way you are helping the moms with your answers and articles and send lots of goodies and love. 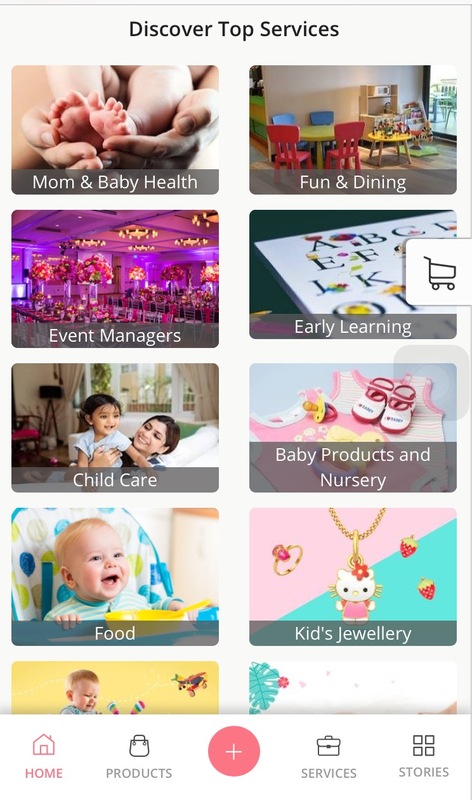 The app also collaborates with number of elite brands to either organise events in various cities of India or for providing the Best of everything that you can easily purchase on the app. When i first started using the app, i was not into blogging. I simply used to help moms on the app by answering their queries and posting my real life experience that can help new moms. Then one of my post got selected as an article by the app and was published under article session. Soon i started getting lot of messages and tags on number of questions and articles when Moms felt i could help them. That was the point when i realised that how amazing it felt to help pregnant and new mommies with just one click. All of this motivated me towards penning down more informative articles and posts to help large number of moms and within a month i was promoted as Mom Star by the app which further encouraged me to bring out the best in me. My experience on the app brought out the best in me and I discovered my path and started writing blogs on parenting and baby products. The app and daily conversations over the app makes you feel all happy when you realise that everybody is sailing in the same boat and there for each other. When we are pregnant or a new mom we are loaded with endless questions in our mind and this app is one stop solution to all the queries. You can ask 1 or 1000 questions, you will always find genuine answers to your queries. Also it has a panel of expertise like Gynaecologist, paediatricians and many such experts to help you. One of the major loads during pregnancy and delivery is about shopping, be it for the baby or mom and you can expect a wide range of all sorts of products to cater you endless requirements. Also the moms and the experts even help you to choose the right product for your baby. They also thrive to bring best of brands everyday and introduce us to endless options to choose from. Also you can help other moms and moms to be with some of your own experiences and trust me, that feels great !! You can make lots of mommy friends on this portal that is so easy to use that it will make you wonder that why have you never used this before. 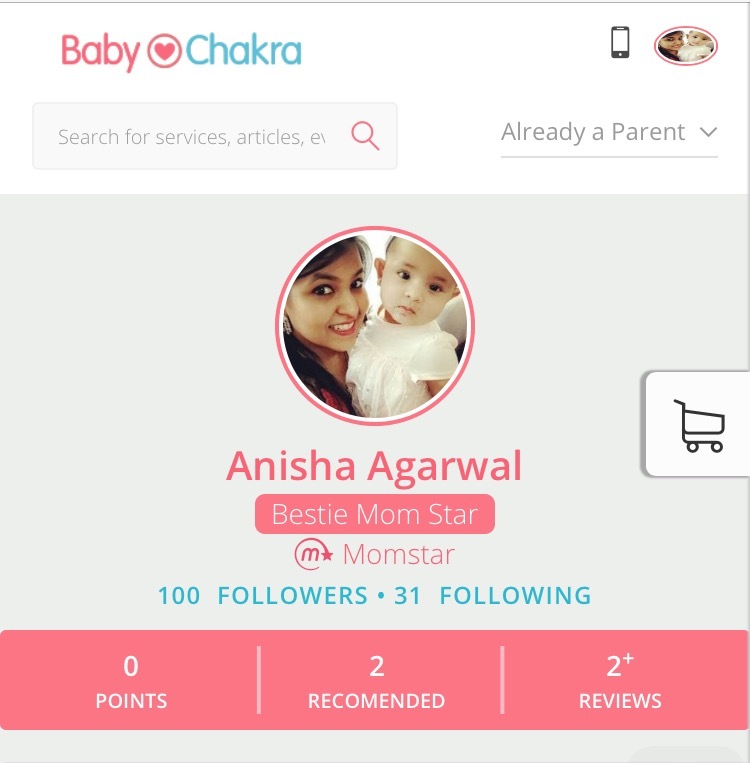 BABYCHAKRA APP keeps you updated with all the latest products, parenting techniques and everything that is going around the World. I would rate this app 5/5 for being extremely user friendly and for getting us Moms our one stop solution to cater all our needs and such a conventional thought.